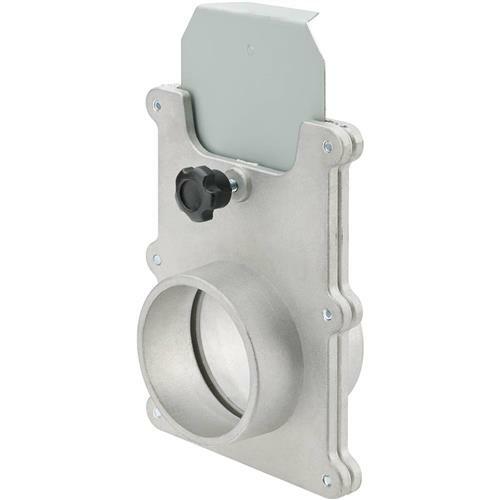 This 2-1/2" OD Aluminum Blast Gate directs air flow in machine ducting to other ports. Gate position can be secured with lock knob.2-7/16" OD, 2-1/8" ID. This 2-1/2" OD Aluminum Blast Gate directs air flow in machine ducting to other ports. Gate position can be secured with lock knob.